Charlie Tapp is being inducted into the Michigan State USBC BA Hall of Fame for Superior Performance. Charlie won the Michigan State Senior Masters in 2012. He joined the PBA (Professional Bowling Association) in 1978, winning his first title in 1983. He has three career PBA Titles, one career PBA Regional Title, two career PBA 50 titles and one PBA50 Regional title. He cashed in 147 of the 359 PBA tournaments entered, making the TV finals 18 times and match play 76 times. His lifetime PBA earnings exceed $500,000. He moved to Kalamazoo in 1988 and dominated the local bowling scene. 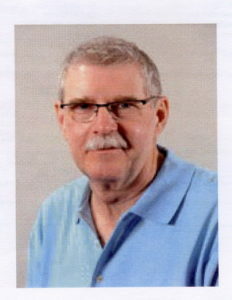 He is a member of the Kalamazoo Bowling Hall of Fame. He has a penchant for coaching and giving back to the sport; currently serving as head coach at Aquinas College. He has over fifty 300 games and over twenty 800 series with a high series of 826. His career high average is 237.